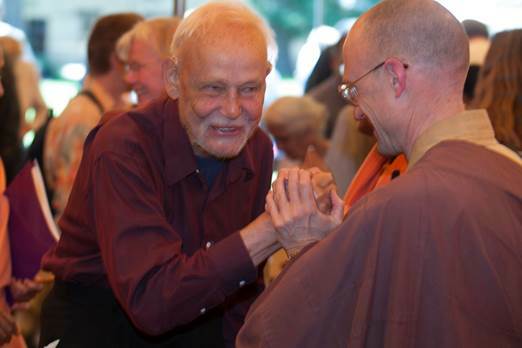 A beautiful Memorial Service for Huston Smith was held at Grace Cathedral in San Francisco, Saturday, April 1, 2:00 p.m.
Huston Smith died peacefully on the morning of December 30, 2016 at his home. 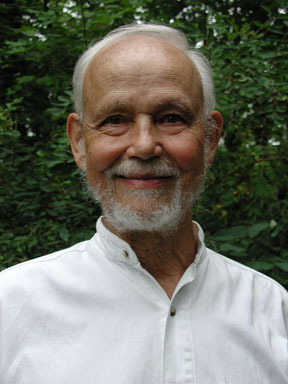 Huston Smith, World's Religion scholar and seeker of the Divine, died at home on December 30, 2016 in Berkeley, California after a long illness. He was largely responsible for introducing Eastern religion to Americans with his 1950s TV series, The Religions of Man, which led to his classic textbook, The World's Religions. He was born in 1919 in China to missionary parents and planned to continue in their footsteps as a missionary - but while in college in the U.S., he was exposed to mysticism and was introduced to Gerald Heard, Aldous Huxley, and Vedanta, which changed the direction of his life. 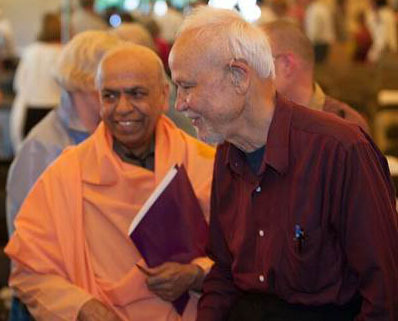 He studied Vedanta for over 10 years (1947 - 1959) under Swami Satprakashananda at the St. Louis Vedanta Center, which set a pattern of studying religion from within the religion at the feet of a master in that tradition. He also dove into Zen Buddhism, Sufism, and other faiths. In the mid-1950s he brought Martin Luther King to lecture at a segregated Washington University in St. Louis - helping to break the color barrier. Huston was the "adult" in the group at Harvard with Timothy Leary and Richard Alpert (later Ramdass) during the Harvard Psychedelic experiments, warning that the drug experience might point the way, but was not the goal. Huston helped get the Dalai Lama to the U.S. and also helped the Native American Church get legal status for their sacred peyote rites. In 1996 Bill Moyers produced a 5-part PBS series featuring Huston on the world�s religions. Huston's family includes his wife, Kendra; daughters Karen, �Gael, and Kimberly Smith; grandchildren: Serena, Sierra, Isaiah, Antonio; great-grandchildren Aubrey, Sasha, Gil, and Eva. Additionally, a multi-generational Tibetan family were a great support for him. Ngodup, Dolma, Tenzin Kunsang are a part of the household, and Tenzin Choden also helped with Huston's care. Huston lectured all over the world and had written dozens of books, selling millions of copies. Additionally, he is the first Westerner to discover Tibetan multi-phonic chanting and brought it to the West. His influence has been profound, but perhaps largely hidden from the general public. While many admire his intellect, he was also well-loved for his warmth and fun-loving gentle humor. He is missed. 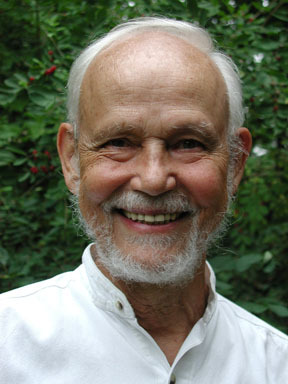 Remembering Parabola contributor, Huston Smith who left us on December 30, 2016 at the age of 97. He did a lot of good to the world and also to our Vedanta society...A great soul. 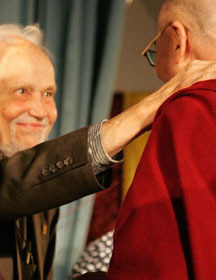 ...The [Berkeley Buddhist] Monastery houses the Huston Smith Memorial Library, with over 2000 volumes graciously donated by Huston, to get our fledgling Institute For World Religions underway over twenty years ago. 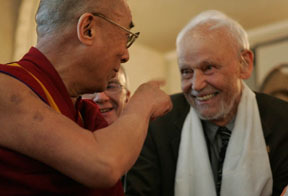 Huston was a regular visitor, and considered us his "local Sangha." Huston was a saint, surely, but more so, a true human. He embodied what is spoken of but perhaps submerged in religion and in spirituality: the depth of true connection and respect for all peoples and all paths. From Iran, Qom. this is Dr. Bagher Talebi Darabi, assistant prof at university of Religions and Denominations, would like to express my sadness of hearing that the great man Huston Smith died. I was translating his book World religions into Persian language. but I could not finish it in his life ... but I surly continue to do finish it. May his spirit rest peacefully in Heaven. 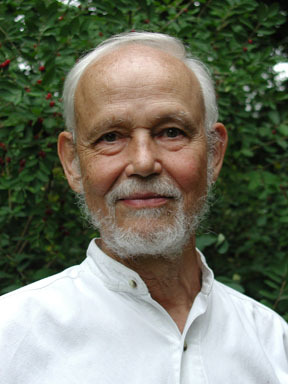 I met Professor Houston Smith in 1994, in California, at a conference about Transpersonal Psychology. He gave a talk about his then-recent book on postmodernism. He asked the group in all sincerity, �How can traditionalism, modernism, and postmodernism be reconciled?" Being impetuous, and since I had been thinking about this, I answered, "Make creativity the agent of synthesis." Prof. Smith peered at me and said, "Yessss!" Swami Prabuddhananda (top) & Heng Sure (bottom). Holder of twelve honorary degrees, Smith�s fourteen books include The World’s Religions which has sold over 2 � million copies, and Why Religion Matters which won the Wilbur Award for the best book on religion published in 2001. In 1996 Bill Moyers devoted a 5-part PBS Special, The Wisdom of Faith with Huston Smith, to his life and work. 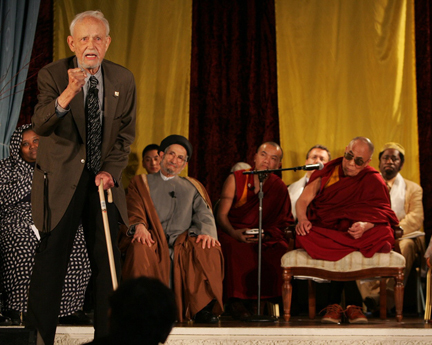 His film documentaries on Hinduism, Tibetan Buddhism, and Sufism have all won International. awards, and The Journal of Ethnomusicology lauded his discovery of Tibetan multiphonic chanting, Music of Tibet, as �an important landmark in the study of music." 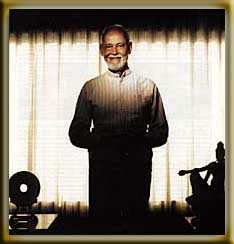 This is the official Huston Smith website. It is noncommercial and meant to facilitate the finding and, if desired, ordering of Huston Smith's works in various media and translation via third party fulfillment.